Smartphone me battery fast drain ki problem hona common hai. 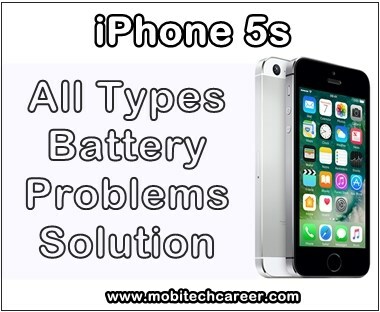 Aaj ke lesson me Apple iPhone 5S phone ki battery se related all hardware problems or faults solution karna sikhenge. Phone me battery not charging ke alawa bhi kahi tarah ki battery problems aati hai. Phone ki battery 3.7 Volt ki hoti hai. All battery problems ko fix or solution in hindi me kaise kare aaiye jante hai – Bahut saare Smartphone me battery jaldi discharge hone ki problems aati rahti hai or aaj ke lesson me battery fast discharge hona, low back up jaisi kai problems ka solution karna sikhenge. 1. Sabse pahle phone ki battery or charger check krke dekhe kahin fault inme to nahi hai. Battery or charger volt ko Multimeter se check kare. Battery or charger ki pins ko check karke dekhe kahin se broken to nahi hai. 2. Battery connecter or charging connecter se dhool, mail, kachara etc. ko wash or clean kare. 3. Fault solve na ho to battery or charger connector ko change kare. 4. Phone me battery problems solution nahi hone par phone me software flashing kare. 5. Battery connector ke pas me laga Electrolytic capacitor change kare. 6. PFO IC ke pass lage Big Non Electrolytic capacitor ko naya lagaye. 7. Battery problems solve hone par ab phone ki battery connector par current check kare. 8. PCB Circuit Board shorting to nahi hai ya nahi, Multimeter se check karke pata kare. 9. Phone ki battery problems solution nahi hone par PCB board ko change kare. Notes: Phone ki battery drain fast, low back up or empty battery solution ke liye battery or pfo ko change krne se fault solution ho jati hai. Reconnect charger ki fault solution krne ke liye battery connector ke back side me lage 2 non electrolytic capacitor remove kar de. 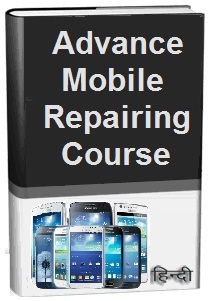 Keywords: mobile, cell phone, iphone repair, smartphone, how to fix, solve, repair Apple iPhone 5S, fast drain, mobile battery, low back up, empty battery, full discharge, problems, faults, jumper ways solution, kaise kare hindi me, repairing tips, guide, video, software, itunes apps, pdf books, download, in hindi.